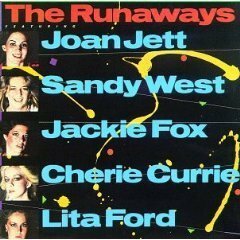 The Best Of The Runaways. . Wallpaper and background images in the 런어웨이즈 club tagged: the runaways sandy west jackie fox joan jett cherie currie lita ford. This 런어웨이즈 photo contains 애니메이션, 만화, and 만화책. 체리 Bomb/Is it 일 또는 Night?